As of July 31, 2018, we are transitioning our hospitals and outpatient offices to a new electronic medical records system called Cerner Millennium. 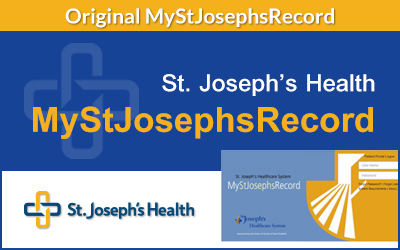 As of now, you will still have access to the original patient portal; however, we encourage you to sign up for the new MyStJosephsRecord patient portal. 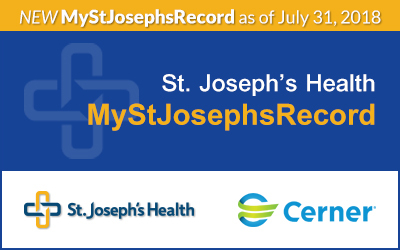 MyStJosephsRecord is the St. Joseph’s Health patient portal. A patient portal provides you with electronic access to your health records and information about your care. Once you are enrolled in MySt­JosephsRecord, you can use it from your computer, tablet or phone. MyStJosephsRecord is convenient, free and secure.